Christmas Eve Boxes For Kids: What To Include? 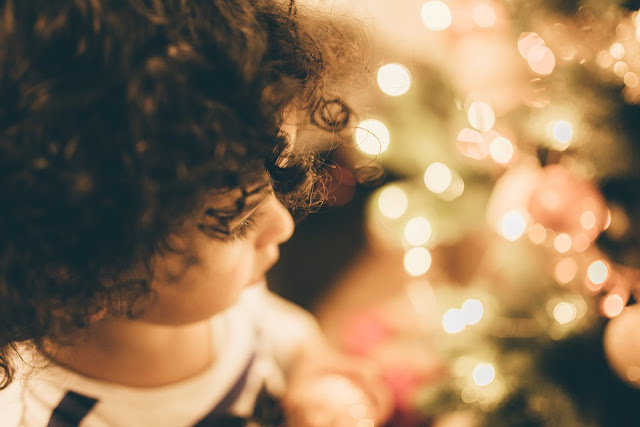 In recent years, lots of new Christmas traditions for kids have emerged. From Elf of the Shelf to making 'reindeer food' to Christmas eve boxes- these are a wonderful way to make memories with your children and keep the festive magic alive. Christmas eve boxes are particularly nice, we all know how much of a struggle the day before Christmas is when we're little. The countdown to the big event seems like such a huge and drawn out process- so giving them some smaller items the day before can help to keep them occupied while keeping excitement high for the main event. If you're looking to put together a Christmas eve box for your kids, here are a few ideas! A special Christmas themed movie with some tasty snacks to watch it with can help to kill a few hours on Christmas eve. If you have other things to be getting on with, you could pop them on the sofa with a cosy blanket and their film and know that they will be occupied for an hour or two. You can buy inexpensive second hand Christmas DVDs on places like eBay, plus supermarkets sell them cheaply. So you don't need to spend much- go for one they haven't already seen. Another way to keep kids busy and stop them from getting under your feet on Christmas eve is to put some crafts into their Christmas eve box. Places like Hobbycraft have sets which contain everything you need for different festive crafts. From painting snowflake sun catchers to decorating 3d felt Christmas trees there's something for all abilities. Inexpensive Christmas novelties make a fun addition to the box. It could be anything from games to socks to little festive toys, again eBay and supermarkets are great for this kind of thing so keep your eyes peeled in the run up to Christmas. It's an extra little thing to put into the box and entertain children. Pyjamas are a nice gift to receive, they're practical and cosy. But on Christmas morning when exciting things like toys and electronics are flying around, theyre an easy thing for kids to overlook. So giving them to them on Christmas eve as part of their box makes sense, they won't detract from their gifts the next morning and are likely to be appreciated more the day before. You can buy gorgeous Christmas teddies which would make the perfect addition to the box too. Polar bears, penguins and huskies don't look too festive so wouldn't need to be stored away until next year. There are lots of children's books based on Christmas, you won't struggle finding them at this time of year. Choose something you know they will enjoy, and save it for Christmas eve night before bed when you're all comfortable and cosy in your new pyjamas. You could make reading a festive story before bed on Christmas eve all part of the tradition! Great ideas! I've done a Christmas Eve Box once for my oldest and nephew - put a little candy, PJ's, pillows, a movie, and a book. I think they liked them and I'd love to do it again in the future.